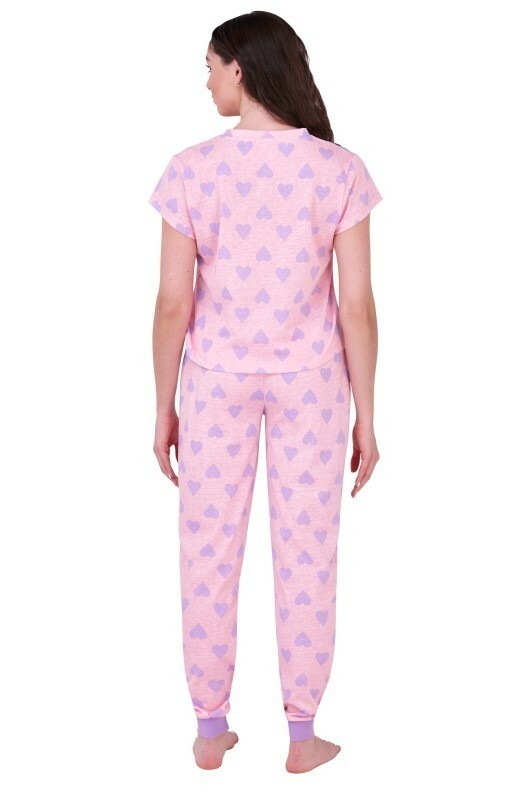 Ladies nightwear Loungeable heart print pyjama set. 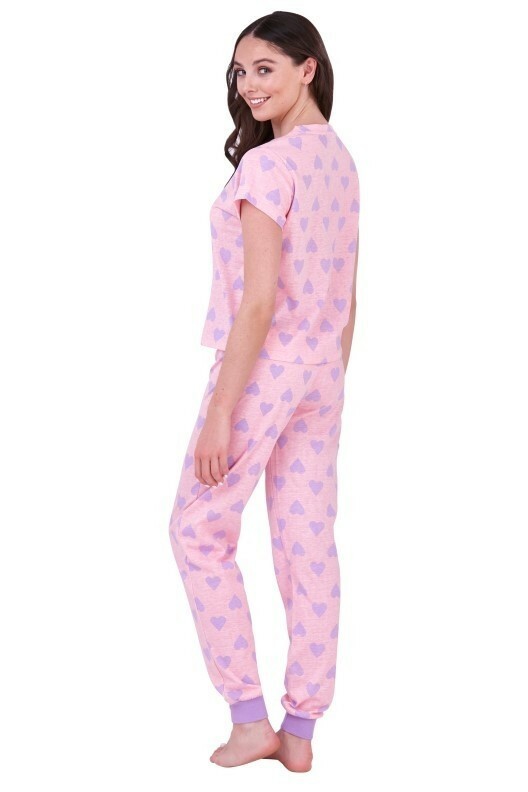 Featuring a short sleeved pyjama top with all over lilac heart print and matching pj pants with rib cuffs & drawstring tie elasticated waistband. Made from 65% polyester, 35% cotton. Available in sizes S/M, M/L & XL. Comes in packs of 12. Please contact us to pre-order.